In many arenas, the word assessment has a negative connotation; however, it is not a bad word. Assessment is a systematic process that is used by educators to gather data to evaluate instruction. Educators use the data to measure and document student progress toward a goal or standard, to evaluate the effectiveness of programs, and to determine if instructional goals have been met. There is a plethora of research on various forms of assessment that impact student learning. Each of these forms has a specific purpose in the field of education. It is important to understand the difference between the types of assessment and how teachers use assessments and the data results to facilitate student learning. There are three forms of assessment: diagnostic, formative, and summative. Diagnostic assessment is typically given at the beginning of the school year and provides information about a student’s prior knowledge, strengths in a content area, and misconceptions. This type of assessment provides a baseline for understanding how much learning has taken place during a course of study. It is designed to help the teacher improve the learner’s performance and his or her level of achievement by identifying gaps in learning. Formative assessment can also serve teachers by providing information about the effectiveness of interventions. Summative assessment is designed to evaluate student learning and usually occurs after teaching and learning are completed. It is used to compare student learning to mastery of a standard. This type of assessment is tied to high-stakes testing, including state assessments, nationally normed tests, interim assessments, end-of-year assessments, and even final exams. Summative assessments give students a final grade based on their academic performance during a specific time period. Each type of assessment has a place in the educational system; however, the one that research points to as best for improving student outcomes is assessment FOR learning—formative assessment—which provides feedback for teachers and students while teaching and learning are occurring. Teachers can increase student achievement when they determine the specific needs of students, monitor student progress toward learning goals, and modify instruction to enhance student learning. Formative assessment helps teachers meet individual student needs and improve student performances. Because formative assessment, when used properly, can result in significant learning gains, it is considered an important part of the instructional and learning process.⁵ For this reason, assessments are integrated and used in conjunction with teaching techniques that promote learning content. "Each type of assessment has a place in the educational system; however, the one that research points to as best for improving student outcomes is assessment FOR learning—formative assessment—which provides feedback for teachers and students while teaching and learning are occurring." Aside from using formative assessment data to adjust instruction, teachers can use the data to communicate learning goals to students. Formative assessment data helps students see their own academic need and allows them to take responsibility for their learning. They can monitor their progress toward mastery of a standard, mark their progress toward mastery, and reflect on their learning. make informed judgments about instruction based on data collected, adjust instruction to meet the individual needs of students, provide quality instruction and interventions at students’ instructional level, and then reassess student learning to continue to impact outcomes. THAT is why formative assessment is considered a best practice! Formative assessment should also provide reliable feedback about student progress that both students and teachers can use to measure learning. It should indicate what has been learned, what is being learned, and what has yet to be learned.⁹ The assessment or progress monitoring should provide timely feedback on critical objectives and skill development. The feedback from formative assessment should allow teachers to make informed adjustments to the next steps in instruction. Some of the areas that can be adjusted based on the results from formative assessment include the content (facts, concepts, principles, skills, resources, etc. ), the process used to present the content to students, and the work expected from students.¹⁰ Adjustments to instructional approaches, grouping techniques, and management strategies can be made based on student content knowledge, interests, and readiness. 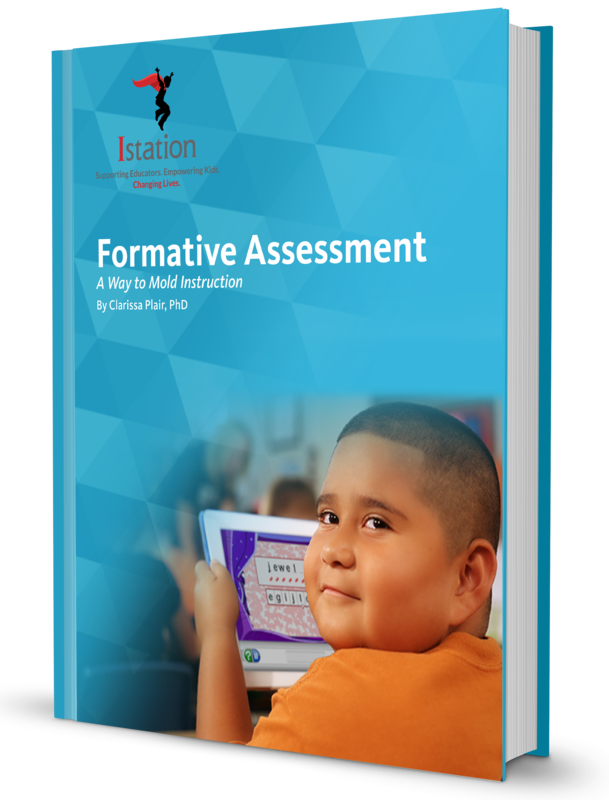 Finally, formative assessment should be able to be integrated seamlessly into instruction and intervention. It can be used to provide quick, actionable assessment that informs instruction, to learn about teacher practice and its effectiveness, and/or to assist students in setting learning targets.¹¹ Formative assessment is a valuable tool for both teachers and students, and it should be viewed as essential to the learning process. More and more companies are offering digital formative assessment and progress monitoring. This type of formative assessment has several advantages. Prior to collecting data digitally, educators used pencil and paper, a method that was inefficient and subjective. Digital formative assessment provides immediate and accurate results, or real-time data, through polls, quizzes, surveys, or games.¹² With digital progress monitoring, teachers can quickly and easily track student progress, determine whether students have mastered standards, and make sound instructional adjustments for grouping environments. Digital formative assessment also offers valuable opportunities for instructional goal setting and collaboration between teachers and students. Many educational experts have praised digital formative assessment. Margaret Heritage, assistant director for Professional Development A professional development team provides tools and training for Istation software and services. at the National Center for Research on Evaluation, Standards, and Student Testing (CRESST), said that digital formative assessment “captures student work and thinking.” ¹⁵ According to Trish Harvey and Vivian Johnson, digital tools for assessment are beneficial because they “provide instantaneous data on learning to both the teacher and the learner. Digital tools can increase teacher efficiency in data collection . . . that can be easily aggregated and dis-aggregated . . . allowing just-in-time adjustments to teaching and learning. Digital assessment technology is rapidly developing and has proven to be an effective way for educators to improve instructional outcomes for students. Istation is an award-winning comprehensive e-learning program used by more than four million students across the world. Known for its accurate assessments, engaging curriculum, and trusted teacher tools, Istation helps students in prekindergarten through twelfth grade achieve academic growth. 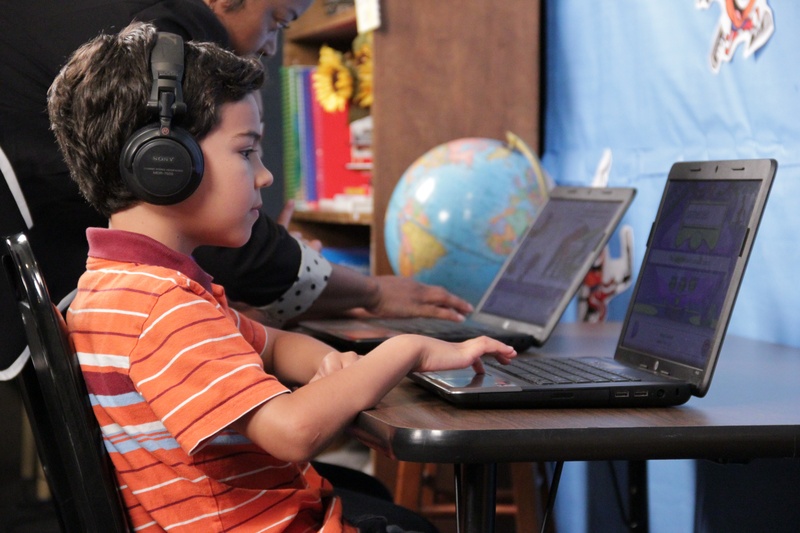 Istation’s computer-adaptive formative assessments (known as ISIP™) immediately place students on personalized instructional paths unique to their needs. An animated, game-like interface effectively engages students so that they don’t even know they're being evaluated. Along with its highly interactive digital curriculum, Istation provides teachers with access to thousands of lessons perfect for instructing small groups or an entire class. Comprehensive progress reports are also immediately available for teachers, administrators, and parents. Once students have taken an ISIP assessment, teachers can examine data for the entire class with Istation’s ISIP Summary Report. This report shows the number and percentage of students in their Student Tiers Student tiers help to deliver differentiated instruction to students based on their level of difficulty with particular subject matter. for the current month. Next, teachers make decisions about modifying instruction to enhance student learning. 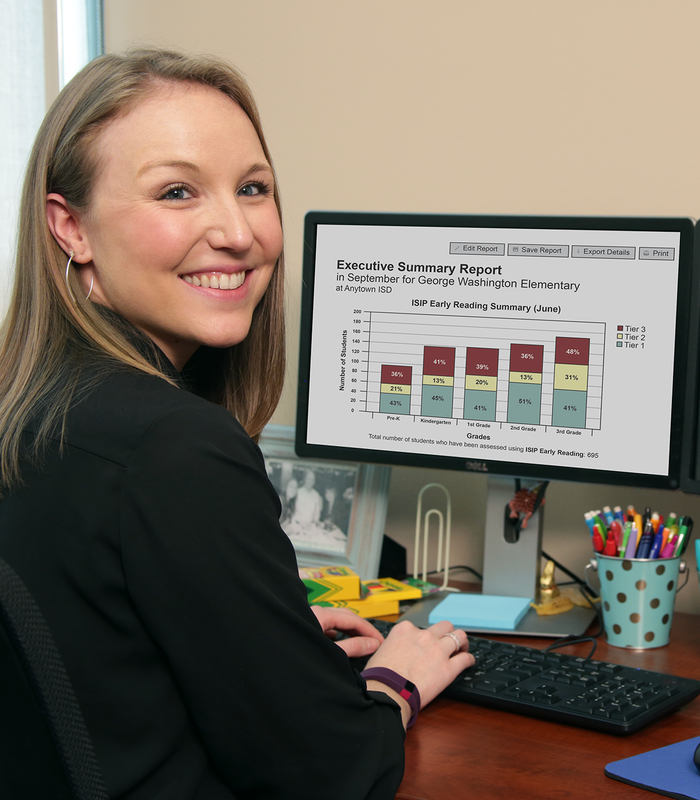 The ISIP Priority Report alerts teachers about students needing additional support. Students are grouped on the report based on deficits in specific skill areas. To help teachers tailor instruction to student needs, Istation links each of the skill areas to scripted teacher-directed lessons. Finally, teachers can use the ISIP Priority Report and the Individual Student Summary handout for each month to collaborate with students to set learning goals. The Individual Student Summary handout allows students to reflect on their learning before setting these goals. Providing schools with formative assessments and ongoing progress monitoring for reading, math, and Spanish, Istation supports intervention and instruction for pre-K through 8th grade. 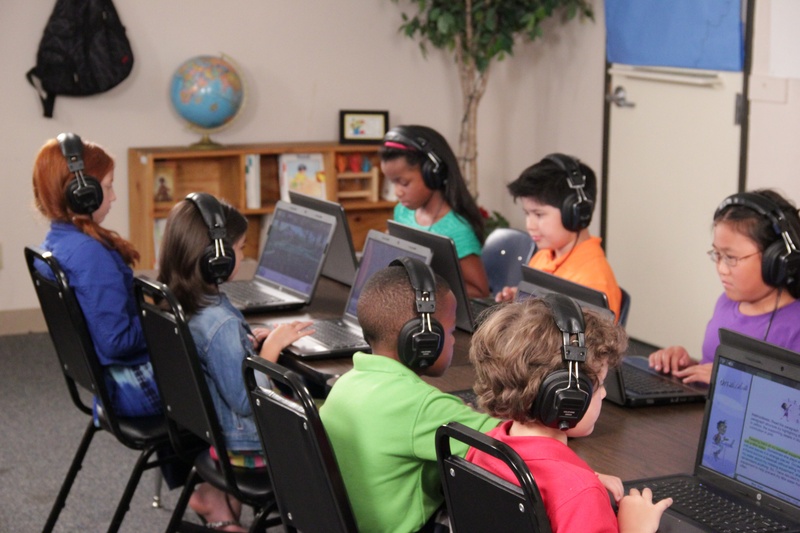 Differentiate instruction and personalize learning with Istation’s essentials for blended learning: formative assessments, adaptive curriculum, personalized data profiles, teacher directed lessons, school-to-home connection, professional development, and proven results.